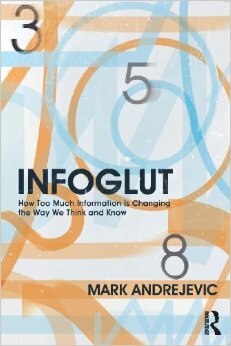 In an age where government and corporate entities routinely gather, compile, and store online users’ information in gigantic databases, Mark Andrejevic’s Infoglut: How Too Much Information Is Changing the Way We Think and Know (2013) provides an excellent overview of elite activities that rely on data’s overabundance in the West. Yet, Infoglut is about more than big data. Deriving investigative tools from media studies and a philosophical lineage of social critique, Mark Andrejevic thrusts readers into a vibrant—if sometimes alarming—world of algorithms, data mining, prediction markets, neuro-marketing, body language analysis, gut feelings, and more. Each chapter elaborates on a particular strategy for “cutting through the glut” (Andrejevic 2013, 136), enabling readers to isolate relevant practices by focusing on particular sections, or to read across chapters in order to pick up on emergent, postmodern processes. In an important move that undergirds the text, Andrejevic ties data clutter to the contemporary proliferation of media sources and narratives, arguing that both trends are symptomatic of a postmodern moment that destabilizes the security of all representations. The central revelation is that this mass of data and narratives threatens to outstrip our interpretive capacities. In other words, Andrejevic is interested in how the academic “crisis of representation” (Marcus and Fischer 1996) becomes a general crisis in which everyday citizens recognize the partiality of narratives spun by the media, scientists, politicians, and other experts. The author’s end goal is a critical assessment of political and epistemological projects in a post-Enlightenment era. Infoglut, therefore, offers much to scholars interested in modernity and postmodernity, as well as to readers grappling with questions surrounding Western media, data, power, surveillance, politics, and virtual worlds. One could call Infoglut a book on the afterlives of ideology. This text is unabashedly theoretically inclined, engaging in hefty philosophical debates that span across symbolic efficiency (Slavoj Žižek), dialectics (Theodor Adorno), affect (Brian Massumi), new materialism (Jane Bennett), mimesis (Walter Benjamin), and power-knowledge (Michel Foucault). While Andrejevic dips into theory slowly and attempts to explain each scholar’s contemporary relevancy, the back-and-forth motion between diverse philosophers—complicated by reference to current events and trends—can at times be bewildering for those not well-versed in high theory. Still, Andrejevic puts forth important theoretical arguments that will be considered in more detail below. His main inspiration is philosopher Slavoj Žižek, from whom he borrows the idea of the “demise of symbolic efficiency” (Žižek 1999, 322). According to Adrejevic’s reading of Žižek, the contemporary West is characterized by the demise of grand narratives, such as those put forth by autocratic states, structured religions, or Enlightenment science (Andrejevic 2013, 13). Rather than heralding the death of ideology, the text considers the transubstantiation of ideological grand narratives into something else. Through data mining and gut instinct, ideology is reborn under a new guise. Consequently, the critical force of the work comes from his continual efforts to expose how supposedly post-ideological, post-representational practices incorporate ideological assumptions in opaque, unselfconscious fashion. Read in this way, Infoglut takes readers on a grand tour of practices that have cropped up in the aftermath of symbolic efficiency’s passing. Chapter 2 begins the journey by delving into data mining procedures, from corporate tracking to government surveillance and policing. Chapter 3 covers sentiment analysis and other techniques that attempt to modulate affect directly, bypassing semiotics in the search for direct markers of emotional intensity. Chapter 4 explores the world of prediction markets, which assume that collective betting on future outcomes yields better results than expert forecasting. Chapter 5 explains glut abolishing techniques that have been marketed to everyday people, like Malcom Gladwell’s “thin-slicing” (2005) and the body language analysis popularized by poker champions and political pundits. Chapter 6 explains the rising trend of neuro-marketing and its efforts to map brain activity directly onto future buying decisions through advanced bio-scanning technologies. Chapter 7 tackles conspiracy theories, centering on rightwing media personality Glenn Beck but also opening out to Obama “birthers” and 9/11 “truthers” to show how postmodern savvy about the constructed nature of all accounts can actually lead to conservatism and anti-evidentiary webs of suspicion. Finally, Chapter 8 closes with Andrejevic’s own musings for what can be done with these new ideological forms, with the author settling on a revitalized mode of social critique that attempts to make visible ideological incorporations, allowing for alternative social imaginaries to emerge. Although not every reader may choose to take up Andrejevic’s model of social critique, the book’s ambitious whirlwind tour nevertheless marks paradigmatic shifts—such as the shift from comprehension to correlation, or from authoritative narrative to affective manipulation—that deserve close examination in their own right. A key analytic that Andrejevic unfolds is a problem he coins the “big data divide” (Andrejevic 2013, 21), which describes power imbalances due to unequal access to databases. Riffing off of the “digital divide” (Coleman 2010, 490), the data divide describes a rift between the data miners and the data mined, or between elites that curate data and the everyday users whose online activities are imperceptibly transformed into data. Bypassing the user/nonuser dichotomy of the digital divide, the data divide elicits a more subtle understanding of the stakes of online activity, suggesting that techniques used to build and slice databases have dire consequences for both actual and virtual life. For instance, correlating buying patterns with online posts, traffic, and social networks allows companies to target their advertisements, but such practices may also provide the basis for criminal/terror profiling and widespread state surveillance. This is not a mere specter, but an immanent reality: in 2005 and 2006, the FBI used data records from grocery stores in an attempt to link sales of Middle Eastern foods with supposed Iranian terror cells in California (Andrejevic 2013, 25). Returning to the central theme of the book, such techniques allow elite organizations to cut the glut and detour around the messy world of representations, sacrificing deep contextual understanding for insights on correlative patterns. One of the major merits of Andrejevic’s formulation here is that the data divide is not a simple on/off categorization. Those of us situated on the other side of the data divide have our own techniques for managing informational overload, such as body language analysis (2013, 80), thin slicing (2013, 78), and even conspiracy (2013, 116). However, such practices often seem to be poor stand-ins for advanced data analysis, speaking to an uneven terrain in which businesses and the state can guide interventions, manipulate affect, and boost/defuse correlative trends that everyday citizens only parse out in piecemeal fashion. Thus, the data divide is a powerful and flexible idea, arguing not for equitable access, but for a destabilization of data-cutting methods that ignore context and their own built-in assumptions. Another important position that Andrejevic promotes is social progressivism, as he seeks to alert readers to the potentially demobilizing effects of informational overload. Building on the power asymmetries expressed by the data divide, Andrejevic offers an incisive critique of postmodern politics. His argument flips the supposed benefit of postmodernism on its head, demonstrating how the insecure status of representations can be evoked to legitimize existing power structures. Conservative postmodernism neutralizes critique by locking oppositional evidence into the whirlpool of partial truth claims, while claiming its own knowledge as “gut instinct” (2013, 7). A key example here is global climate change denial, a practice which Andrejevic shows to be fundamentally postmodern in that it reduces the truth claims of experts and scientists to the realm of subjective opinion, applying what anthropologists might recognize as a strange brand of epistemological relativism. Andrejevic convincingly shows the practical problems concerning a radical destabilization of coherent narrative, detailing how it forecloses the possibility of imagining collective life and of uncovering systemic issues. His argument politically targets the United States’ far right, condemning conservative pundits who reject opposing narratives as a product of media bias or dismiss incriminating evidence as part of an anti-capitalist, anti-America conspiracy. In the embrace of postmodern “savvy skepticism” (2013, 83), he worries that we have galvanized the post-truth populism forwarded by rightwing pundits like Glenn Beck, Ann Coulter, and Rush Limbaugh (2013, 60). Despite the fact that most of his examples derive from the right, his real target is the postmodern, post-evidentiary attitude. Indeed, he implies that such tactics have been applied by the left as well (2013, 62), although he refrains from detailed analysis. Andrejevic’s key term for this pressing problem is “ersatz democratization,” a form of populism that replaces open discussion with blind faith in gut instinct and conspiracy (2013, 60). What is needed, therefore, is a “rehabilitation of symbolic efficiency” (2013, 146) that turns postmodern critique back on itself to uncover the blind faith and opaque ideologies at the basis of glut cutting activities, reaffirming the challenges of representation and systemic social issues. With respect to his approach to postmodern problems of representation, Andrejevic’s closest relative in the social sciences might be Pierre Bourdieu, a thinker who similarly champions the power of reflexivity to create secure, logical, and evidence-based knowledge (Bourdieu 1990). In an extended interview with sociologist Loïc Wacquant, Bourdieu declares himself an enemy of “thinly-veiled nihilistic relativism” (Wacquant 1989, 35) characteristic of postmodernists, later clarifying: “Far from undermining the foundations of social science, [my own] sociology of the social determinants of sociological practice is the only possible ground for a possible freedom from those determinations” (55). Although Andrejevic never mentions Bourdieu, both scholars apply modified Enlightenment tools to seemingly post-Enlightenment problems, arguing for the power of empirical reasoning and critical thought. As Andrejevic and Bourdieu are careful to note, this is not a return to old ways of imagining knowledge production, but rather a reincorporation of rational tools that turn themselves back on their conditions of possibility. In the words of Like Andrejevic, Bourdieu also situates his work against the infinite regress of deconstruction that represents a “post-truth” world, positing instead the possibility of escaping this death spiral. Indeed, the promise of Andrejevic’s “reflexivization of reflexivization” (Andrejevic 2013, 151) neatly recalls Bourdieu’s own sociology of sociology. The main difference is that Bourdieu’s solution arrives in the form of objective social conditions discovered through expert sociological analysis, whereas Andrejevic builds on a Frankfurt school legacy of dialectical critique. If Bourdieu’s epistemic security derives from the relatively stable social field, Andrejevic places trust in critical collective narratives. In his own dialectical method, Andrejevic works creatively with tools provided by Hegel, Žižek, Adorno, Horkheimer, and Benjamin, applying them to dissolve “post-truth” claims instead of truth claims. This dissolution in turn creates a space for alternative, progressive visions of collective life. One might even consider Infoglut an attempt to recoup the grand narrative with a monumental tale of glut. Glut certainly holds the book together, as the word finds its way into the title of every single chapter and a good chunk of section headings. As grand narrative, glut promises to collect an assortment of contemporary practices into a critical vision of the West. Transcending the negative function generally accorded to critique, Infoglut carries out the positive task of making glut a visible object to be assessed, worked on, and reshaped. Readers will find that Andrejevic’s work ultimately poses more questions than solutions to glut, as chapter by chapter he problematizes quick fixes that try to short-circuit representational problems. As a call to arms against the power-laden, asymmetric, demobilizing uses of glut, Infoglut does not exactly point readers in concrete directions for rerouting our glutted systems. The virtue of this vagueness is that readers are left open to develop their own critical responses to the glut they know best. For example, representational glut seems an especially promising concept for the anthropology of media. There are unacknowledged connections here with the work of anthropologist Dominic Boyer, who illustrates how Western journalists increasingly see themselves as information filters in an overwhelming sea of stories (Boyer 2013). Surrounded by multiple screens that are constantly refreshing, updating, and calling for attention, reporters live in the glut. Glut may also be productive for the anthropology of science, recalling sociologist Thomas Gieryn’s description of the “boundary-work” that separates science from the mass of amateur knowledge claims (Gieryn 1983). More broadly, glut speaks to the conditions and stakes of knowledge in the contemporary, challenging us not only to handle greater masses of data, but to develop critical methods for sifting, evaluating, and narrating this information. Overall, Infoglut is much more focused on drawing linkages than boundary lines. Andrejevic’s method involves rapid and unceasing circulation between the tech sector, the state, the media, and contemporary theory, involving him in nomadic roaming between disparate examples. This technique is ultimately productive for uncovering surprising symmetries and points of convergence. Readers often discover that things they had assumed to be separate—like Glenn Beck, affect theory, and big data engines—are actually connected by strands of “correlational thought” (2013, 132). This propensity for searching out unexpected symmetries is a special talent of Andrejevic, as he aptly draws the lines between the dots. However, this method does not guarantee the validity of the connections made, and such lines carry the risk of slipping past actors’ vastly different historical lineages and aims. For instance, Andrejevic suggests a “disturbing affinity” (Andrejevic 2013, 145) between Jane Bennett’s vital materialism and the logic of global climate change deniers. His argument here is that Bennett’s call for a decentering of human agency in favor of “thing-power” (Bennett 2010, 2) seems remarkably similar to global climate change deniers’ claims that it is mere human hubris to assert that we can have a marked effect on the atmosphere. The implication is that both Bennett and climate change deniers are fundamentally conservative because they risk making humans no longer responsible for systemic climate issues, meaning that there is no need to act since the outcome is out of our hands. While both admittedly displace the centrality of the human, it seems all too hasty to reduce one to another. To illuminate one key difference, in a move totally absent from Bennett’s formulations, global climate change denial often invokes a “God-power” which places world events in God’s hands. Meanwhile, Bennett explicitly tasks her readers with personal responsibility for their surroundings, arguing that promoting “attentive encounters” between people and things can cultivate “the emergence of more ecological and more materially sustainable modes of production and consumption” (Bennett 2010, ix-x). Andrejevic’s roaming, visionary connections threaten to fall flat because he relies on a singular version of postmodernity that subsumes a whole host of glut-busting activities. In a similar move to the elaboration of multiple “modernities” (Faubion 1988) taken up in earnest by anthropology in the 1990s, I want to tentatively replace Andrejevic’s postmodern moment with a plurality of postmodernities. From the perspective of multiple postmodernities, Andrejevic’s book is a landmark effort that lays out the variegated contours of postmodern landscapes. His careful attention to a variety of postmodern techniques points the way for further research illuminating different modes of living, managing, and ordering life in an era of informational abundance. For an anthropological audience, the fact that the text includes no fieldwork or ethnography should be seen as an invitation. When Andrejevic warns us of the incoming great waves of big data and post-truth claims, cultural anthropologists cannot help but wonder what else is going on in corporate America. What small data, narrative-rich, alternative practices still persist and proliferate under the pull of the wave, at the sea floor, so to speak? How do local, submerged processes interact with the broader postmodern trends that Andrejevic describes? I am reminded of a quote by economic anthropologist David Graeber: “It’s one of the scandals of capitalism that most capitalist firms, internally, operate communistically” (2011, 96). If we look at the internal dynamics of companies using big data, neuro-marketing, and predictive analysis, will we find that in everyday practice they contradict their own post-representation, post-ideological claims? Andrejevic hints that this might be the case. Of course, it’s not his job to explore the ocean floor. He wants to warn us of the approaching wave. But, in doing so, he opens up new depths for anthropologists to closely explore all sorts of postmodern life-worlds. 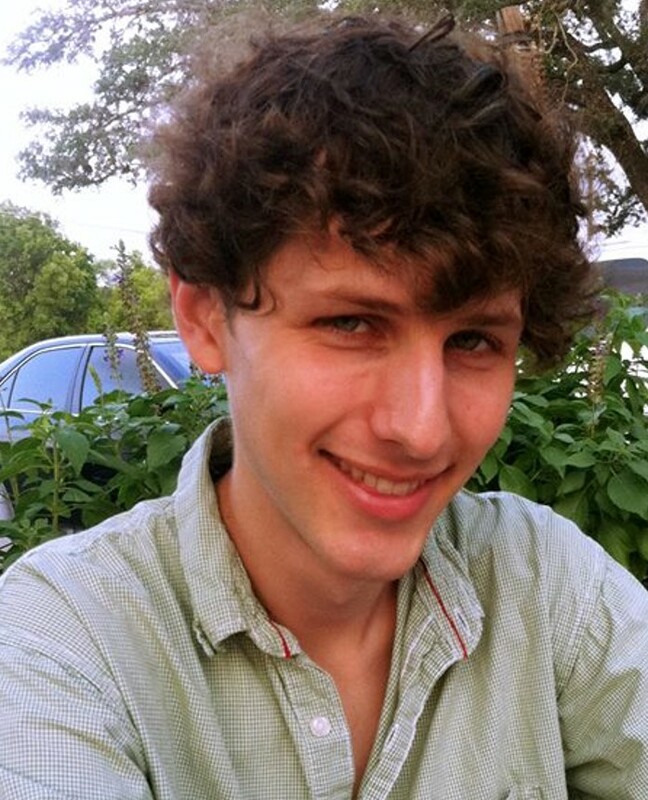 Colin Ford is a PhD student in cultural anthropology at UC Irvine, focusing on virtual worlds and science studies. He is currently researching the ways in which game studios manage data for all sorts of purposes, from in-world balance to social problem adjudication. His academic interests include virtual embodiment, toxicity, and the histories of numbers. As an undergrad at Rice University, Colin studied popular computer game League of Legends, looking at how individual attitudes, habits, capabilities, and senses shifted through the social experience of play. An enthusiast of the written and spoken word, he has also previously taught English writing skills at Breakthrough Fort Worth and Rice’s writing center. In his spare time, he follows various e-sports and invents card games that can be played with standard 52-card decks. To contact Colin, please email him at cford1@uci.edu. Andrejevic, Mark (2013). Infoglut: How Too Much Information Is Changing the Way We Think and Know. New York: Routledge. Bennet, Jane (2010). Vibrant Matter: A Political Ecology of Things. Durham: Duke University Press. Bourdieu, Pierre (1994). In Other Words: Essays towards a Reflexive Sociology. Cambridge: Polity Press. Boyer, Dominic (2013). 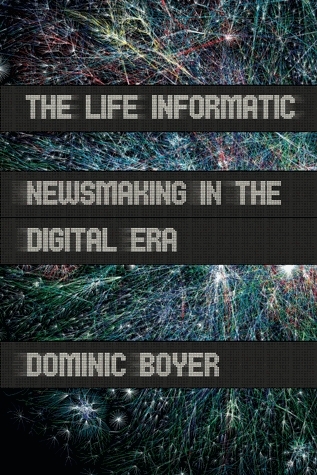 The Life Informatic: Newsmaking in the Digital Era. Ithaca: Cornell University Press. Coleman, Gabriella (2010). “Ethnographic Approaches to Digital Media”. Annual Review of Anthropology 39, pp. 487-505. Gieryn, Thomas (1983). “Boundary-work and the Demarcation of Science from Non-science: Strains and Interests in Professional Ideologies of Scientists”. American Sociological Review 48(6), pp. 781-795. Gladwell, Malcom (2005). Blink: The Power of Thinking Without Thinking. New York: Back Bay Books. Graeber, David (2011). Debt: The First 5,000 Years. New York: Melville House. Faubion, James (1988). “Possible modernities”. Cultural Anthropology 3(4), pp. 365-378. Marcus, George, and Michael Fischer (1996_. 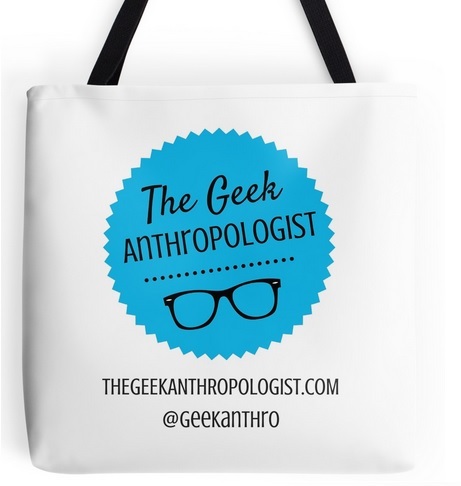 Anthropology as Cultural Critique: An Experimental Moment in the Human Sciences. Chicago: University of Chicago Press. Wacquant, Loic (1989). “Towards a Reflexive Sociology: A Workshop with Pierre Bourdieu”. Sociological Theory, 7(1), pp. 26-63. Žižek, Slavoj (1999). The Ticklish Subject: The Absent Centre of Political Ontology. New York: Verso Books.